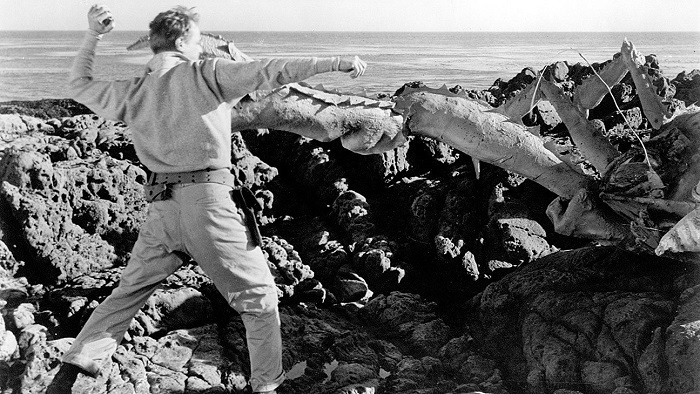 Month of Corman – Attack of the Crab Monsters! Apparently next month is gonna have some cool things to watch in the lovely world of horror. 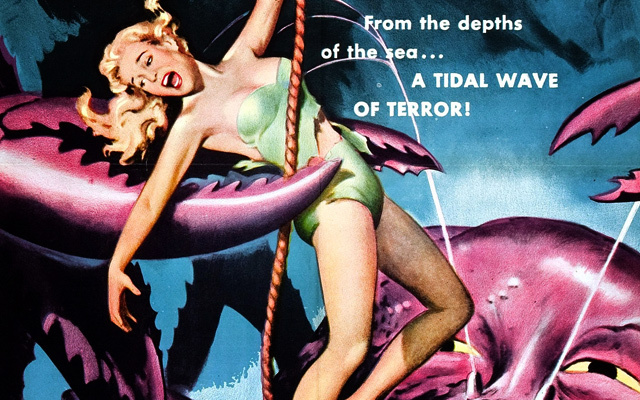 There is still a week and a half (maybe more) until then so the awesome fun of Month of Corman is going back, way back to 1957 , So grab your best gal and head on down to the drive in, because we are reviewing the classic, Attack of The Crab Monsters! directed by the man, the myth, the legend himself, Roger Corman. Attack of the Crab Monsters stars Richard Garland, Pamela Duncan . They and a cast of western European stereotypes form a team of scientists that are sent to investigate the effects of nuclear tests on a small atoll. What they find is an island that is crumbling into the sea and the atomic energy has mutated the crabs into giant sentient crawling crustaceans of claw death. The team of scientists are forced to pit their combined brains against the sheer will of the crabs. The crabs have a secret weapon as well, they can assimilate the consciousness of the humans they eat and bend their personality and intelligence to the destruction of the human race! If you think about it, it sounds like a pretty cool premise. I would rather see a loony idea like this come out of Hollywood than the 14th Spiderman movie or have to watch Batman’s mom and dad get killed over and over again. 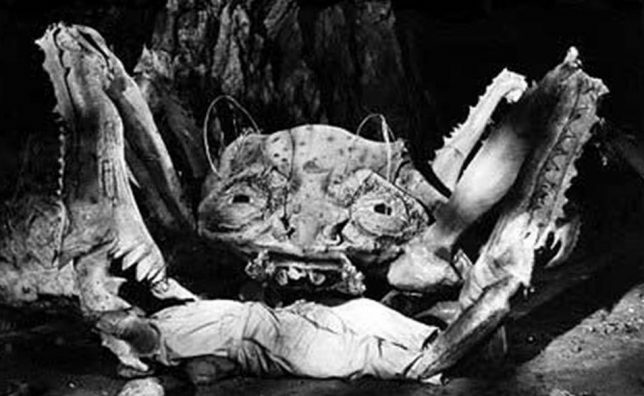 The whole plot of attack of the crab monsters doesn’t really make sense and the acting and effects are totally B level cinema, but that doesn’t matter because most of the kids who watched these films were too busy making out in their parents station wagons to care. 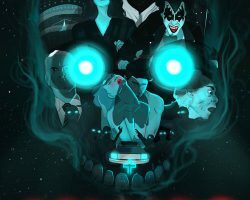 These types of movies came at a time when the great universal pictures monsters were yesterdays news and the cold cold war era social zeitgeist was drenched in fears of radiation and nuclear fallout. This is where movies warned that nuclear weapons could make an animal get real big and cause mayhem and destruction. 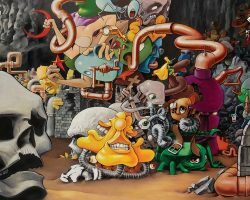 Motion pictures like Them!, Attack of the 50 Foot Woman, and Godzilla permeated pop culture in the 50’s, and have had a resurgence recently with movies like Cloverfield, Pacific Rim, and …. Godzilla? I found out that this era is where we get the word ‘Blockbuster’ to describe a heavily marketed and advertised movie event. The term was first used in the 1951 Variety magazine review of Quo Vadis. If you can find it, go ahead an take in this Corman classic of cinematic history and don’t forget your crab crackers!